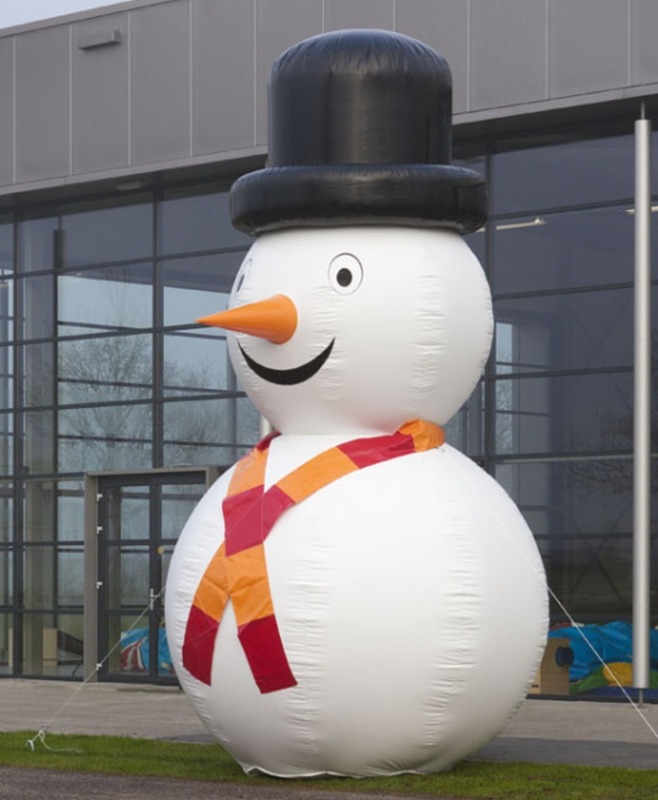 Our holiday Inflatable Snowman is just what you need for you next winter wonderland party this year. 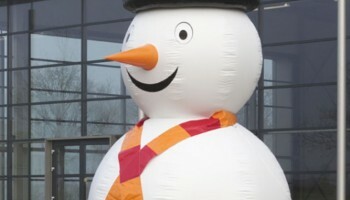 Impress your guests or employees and order this 16 foot tall Inflatable Snowman (a.k.a Frosty). 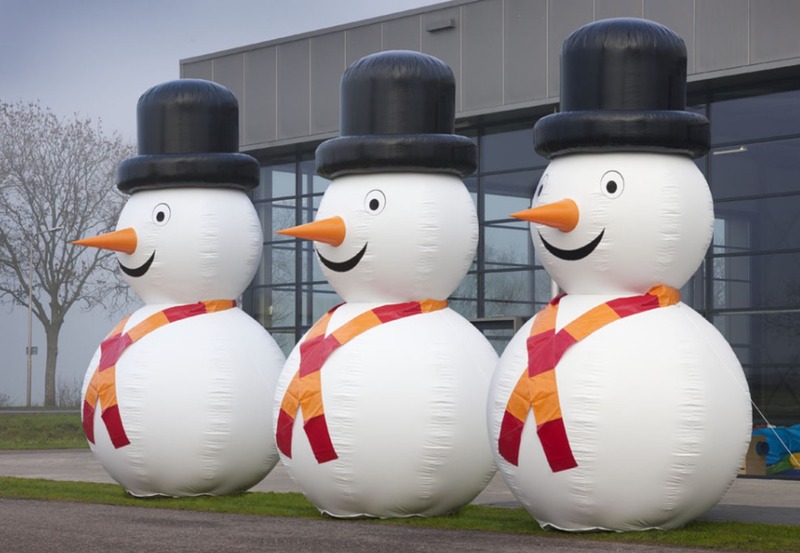 This rental item works well at Car Dealerships and Promotional Sales to draw people to your product. 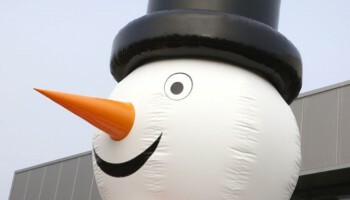 A Snowman are often built by children in regions of the country that have a lot of snowfall. 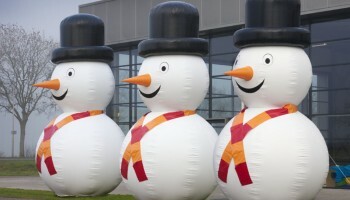 A typical snowman has three large snowballs of different sizes with a type of facial attachments like carrots for the nose and a corn pipe in its mouth and a hat or scarf around the head area. 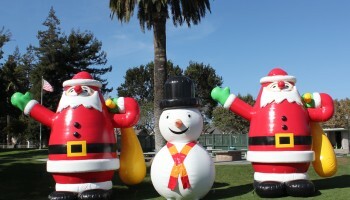 Rentals for our Inflatable Snowman or Inflatable Santa Claus can be added to your order when you rent our Ice skating Rink. 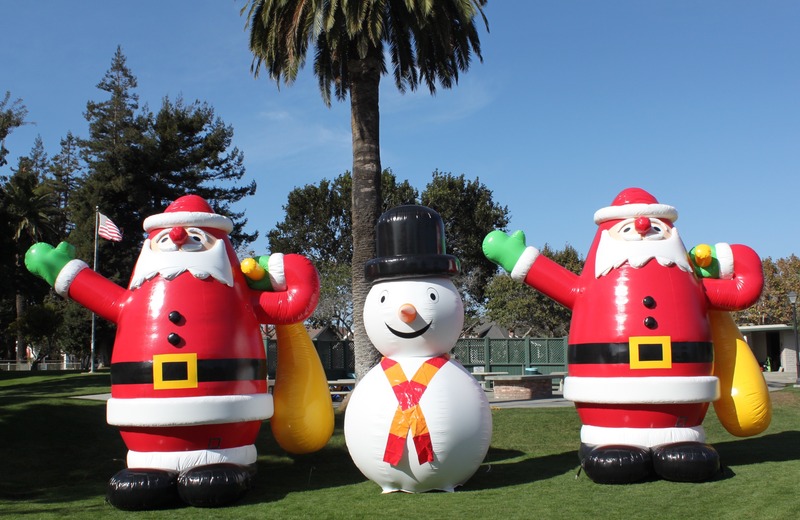 We can deliver our winter wonderland items to your place of business or home in any of the San Francisco Bay Area Cities. 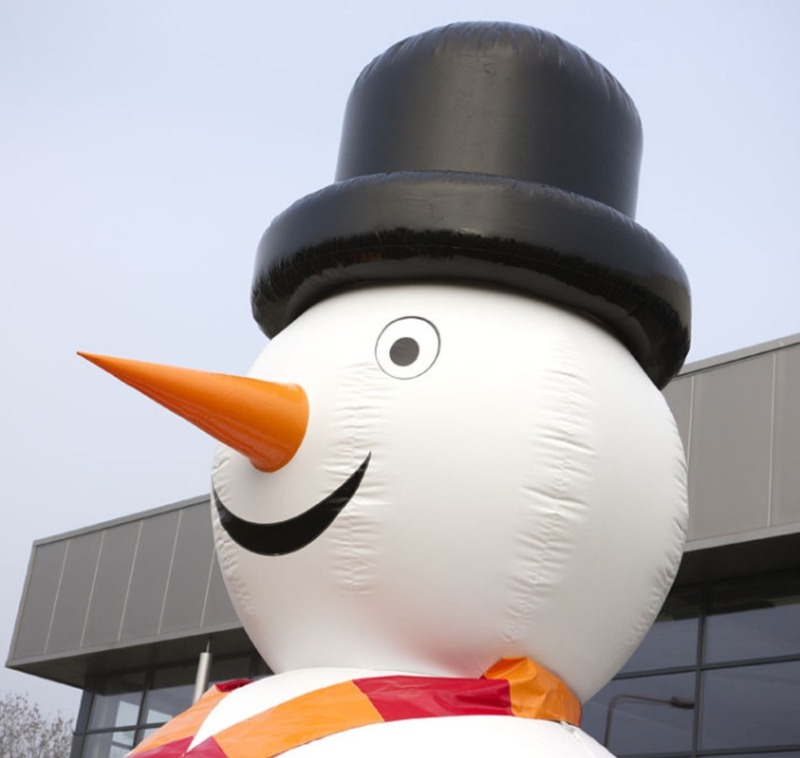 Ask us about our multi day rental plan.